Yapp Studios, Inc. was founded in 1982 by Charles H. Yapp. The company was entirely engaged in the business of Illustrative Commercial Photography and was located in downtown Chicago, Illinois. Today, Donna and Charlie are located in Southern Ohio, outside of Cincinnati, making vintage Model A & B Ford speed parts and publishing good things to enhance the vintage car hobby. . . We no longer provide photography . . .He hung the cameras up (still have them though). Charlie grew up in Manhattan, KS, Kirksville, MO and Des Moines, IA, (where his 1962 love affair with Model A Fords was inspired during high school), attended University of Northern MO, enlisted in the United States Navy (1966-70) "saw the world" and served on a Sub Tender in Guam, an Oiler in Long Beach, CA, and a Fleet Tug in Pearl Harbor, HI. The ocean going fire, towing and rescue ship, moved from Hawaii, to the Philippines, to Vietnam (adventures were had). C&D met in Hawaii on Waikiki beach. 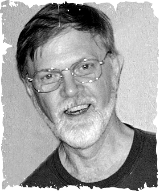 Newly married he went back to UNO on the GI Bill, made the Dean's List and graduated as valedictorian with honors from Brooks Institute, Santa Barbara, CA (1974) with a BA degree in Photographic Illustration. I know, I know, my Des Moines Roosevelt high school buddies are in disbelief, but the service can really square (scare) you away. Yapp Started his photographic career in downtown St. Louis, MO at Obata Design. Then moved on to Chicago in 1978 and worked for HH&G until 1982 when Yapp Studios, Inc. was formed. Yapp started four successful businesses in the Chicago, IL area (Yapp Studios, Great Shot Studios, the Secrets Of Speed Society and Scalded Dog Speed Parts Co). He traveled the USA, Mexico and Pacific for his clients in the food, beverage, hotel and clothing arena. By 1998 he had self taught himself about foundries, patterns, metallurgy, reading blueprints and started making parts for vintage racing Fords. They moved home and business to a wooded acreage outside of Cincinnati, OH in 2003 to get closer to their family . . .The "kids" moved from Cincinnati to Columbus, OH, then England, and settled in Kalamazoo, MI, (so far) and we are staying put. Secrets Of Speed Society (since 1991), a society of several thousand individuals who enjoy vintage racing credited and founded by Charlie. The Society is internationally acclaimed and has won numerous awards for its journal Secrets, Vintage Speed & Sport, Magazine. 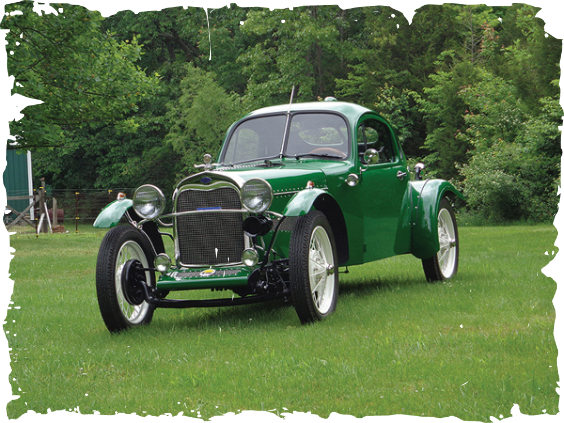 Scalded Dog Speed Parts (since 1998) designs and produces most of the vintage Model A and B Ford speed parts seen within this online catalog. Some parts are made by friends and are of the highest quality. ​Charlie finished his dream car, a 1929 Ford Cabin Speedster that he designed and built from scratch, over ten years, learning how to do it day by day. It has won several awards including 2 Best Of Shows and the coveted "Top Fifty", of 2,000+ cars, at the 2015 and again at the 2016 "Pumpkin Run Car Show" in Southern Ohio. It is a real crowd pleaser. Charlie and Donna can be found cruising the backroad of Ohio and Kentucky on a nice day, with big grins and an eager wave. Our Logos and Registered Trademarks. Yapp Studios, Inc. is entirely owned and operated by Charles and Donna Yapp.